This my 50th Teaser Tuesday and I just want to share with you how much fun I have with this meme! 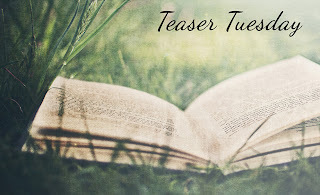 I've come across some great new books, discovered some interesting blogs and made new friends by joining in the Teaser Tuesday book meme! Today's teaser comes from Love Irresistibly by Julies James. It's the fourth book in her FBI/US Attorney romantic suspense series. The next book, It Happened One Wedding, is coming out in May 2014. Because to get in with a woman like Brooke, he would need to let her in, too. And that was something her ... just didn't do. Wasn't sure he knew how to do, even if he wanted to. Should stay away from women that make one feel off. This sounds like it will be a good story with a happy ending. Hope you enjoy! I'm spotlighting The Moon Sisters this week. I love this book so much. The couple just cracks me up! Great teaser, hope you're enjoying it! Great teaser!! Sounds good. I agree about the meme, Ive found some great new books from it.